Today B.A.F.F.L.E.D. 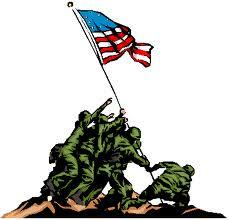 celebrates the many soldiers from our nation's military who have laid their lives on the line for our many freedoms. We are forever indebted to them, and honor the courage they have in protecting America. Thank You Veterans, Prisoners of War Missing in Action, Active Duty Members, Honorable Discharged Members, and all men and women of the United States Armed Forces.